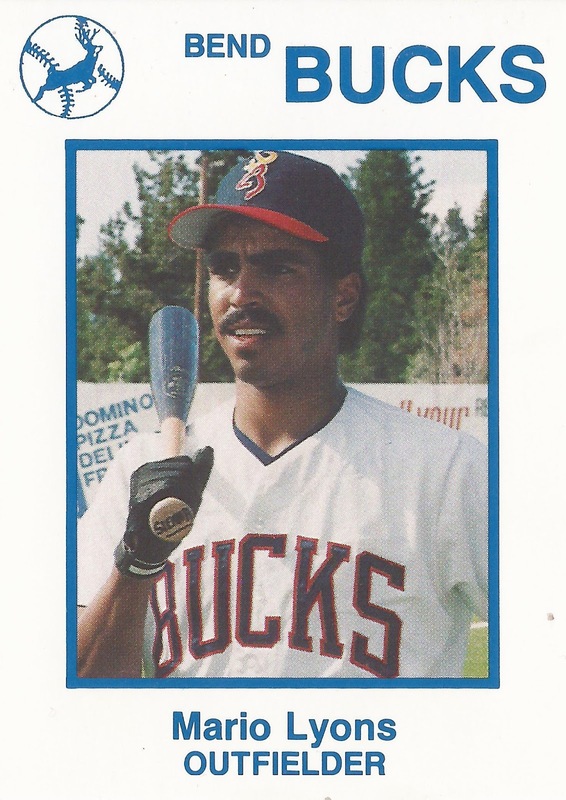 Mario Lyons had a good night at the plate in this August 1990 game for short-season Bend, just not a good night on the base paths, according to The Bend Bulletin. Lyons went 4 for 6 in the 15-inning Bend loss. On the bases, though, he got caught stealing and picked off twice. The pickoffs both happened in extras, The Bulletin wrote. Lyons had that night in his second season as a pro. It also happened near the end of his professional career. He played just those two seasons and never made it higher than short season. Lyons' career began in 1989, taken by the Athletics in the 39th round of the draft out of Eastern Washington University. He also went to Pierce College. At Pierce, Lyons won all-star honors twice and second-team all-conference in 1987. 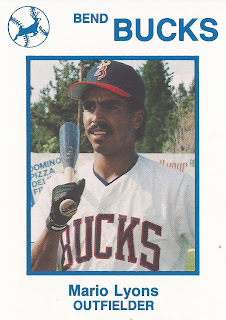 He hit .360 for them in 1988 and stole 30 bases. He made the school's Hall of Fame in 2012. With the Athletics, Lyons started in the rookie Arizona League. He hit .285 in 42 games. He knocked in 11 and stole 15. He moved to Bend for 1990. He went 2 for 4, with a run scored and an RBI in a July game. He then went 1 for 4 in an early August game. Overall, he hit just .179 over 46 games, with 10 RBI and 14 stolen bases to end his career.